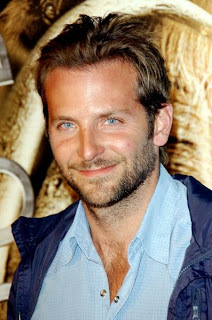 Actor Bradley Cooper, best-known for his role in The Hangover and its recent sequel (as well as The A-Team movie), has said he wants to write and direct a movie based on Dan Simmons' Hyperion Cantos novels. Apparently he's already written a treatment and spoken to the people that currently hold the rights. Could this guy be bringing the Shrike to the big screen? Interesting. Cooper recently also starred in Limitless, an adaptation of an arguably-SF techno-thriller, but Hyperion would be many orders of magnitude more complex to turn into a movie. However, if Cooper's plans mean one film for Hyperion and The Fall of Hyperion (previous rumours suggested that producers wanted to combine them into one two-hour film), that'd be a step in the right direction. So far this is a hope and little more, but it's nevertheless interesting that someone with some Hollywood clout is talking up the project. Done faithfully, this could be a very different kind of SF movie. Off-topic, since I don't know how to PM you: is the following your recommended reading order for the Malazan books, as per your post? And where does Crack'd Pot Trail fit in? No, that's the chronological order of the series. I wouldn't read it in that order, you'd drive yourself crazy. I'd read Erikson Books 1-5, followed by NIGHT OF KNIVES, 6-7, RETURN, 8-10 and STONEWIELDER*. The novellas can be read whenever. * You can also read RETURN, STONEWIELDER before or after 8. 9-10 are one long novel and should be read as such. Ah, a misunderstanding. I didn't suggest I take your chronological order but the order from my own post, which is the same you suggest except for the switch between Reaper's Gale and Return. sorry... but unless they're talking about making it 4 different films or an HBO (or even scifi) miniseries i fear that this will be a wasted opportunity. Nearly had an aneurysm when I saw this post. Mr. Hangover and generic ubiquitous handsome blonde man in sappy comedy wants to direct Hyperion? HYPERION?? Wait I have an idea! Peter Jackson should direct Hyperion, and someone throw money at Ken barbie to do a remake of Galaxy Quest. He could even star in it if he likes, I would totally watch THAT.